The new One More Rep™ video begins with a slow pan of the weight room at the BPI Sports headquarters. You can hear a voice shouting over the din of the weights. That’s Whitney Reid. He’s the National Sales Director for BPI and a fixture not only at our offices, but also in our advertising. At 6’1” and 225-pounds of muscle, he’s hard to ignore, even when he’s not shouting. While the video was designed to capture the spirit of the new pre-workout, One More Rep™, the story behind it captures the spirit of BPI Sports. For Daniel, being made the star of the One More Rep™ video was recognition for years of silent toil. A journey that took a skinny teenager from Caracas, Venezuela, to south Florida, and eventually to work for BPI. Daniel, who has worked on the graphics for the new One More Rep™, was excited to be featured in this campaign because he likes the new product and its innovative natural ingredients. 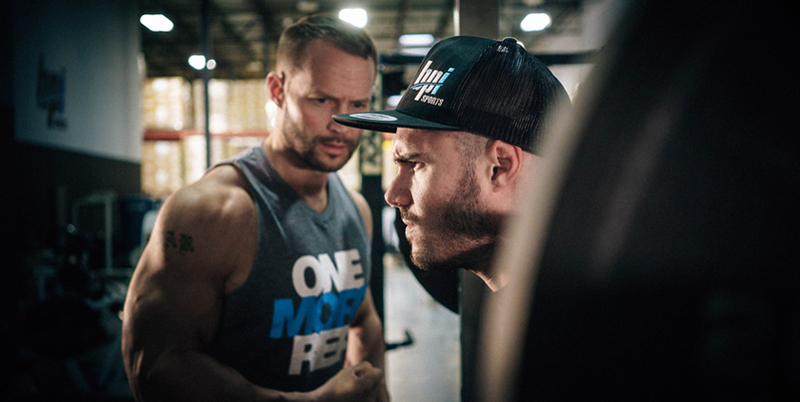 The new One More Rep™ was the result of conversations between BPI co-founder James Grage, VP of Sales, Chris MacKenzie and National Sales Director, Whitney Reid. Because of citrulline’s ability to support cardiovascular health, reduce muscle fatigue and improve endurance, it has applications that benefit both athletes and people with heart health concerns. Citrulline has also been shown to relieve muscle soreness. Betaine has been recommended as a performance-enhancing compound. Betaine boosts both athletic performance and muscle endurance. One More Rep™ contains no artificial colors. Its red color is actually a result of beetroot powder. The formula is beta alanine free, which means you won’t experience the tingles, jitters or a crash. Plus, One More Rep™ doesn’t contain creatine, so it’s safe to stack with other supplements. Choose from four delicious flavors: Hurricane Orange, Raspberry Tea, Fruit Punch and Berry Splash.